(Bloomberg) -- New Zealand Prime Minister Jacinda Ardern will visit China for one day next week for talks with President Xi Jinping, adding to signs that any tensions between the two nations are easing. 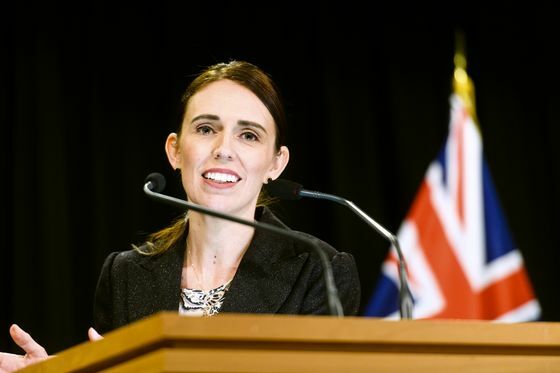 A longer visit had been in the planning for some weeks, but it’s been shortened following the terrorist attacks in Christchurch, Ardern told reporters Monday in Wellington. She’ll discuss a range of bilateral, regional and international issues including upgrading the existing free trade agreement on April 1. Ardern will also meet Premier Li Keqiang and open New Zealand’s embassy in Beijing. China hopes her visit strengthens bilateral trust and expands cooperation between the two nations, Chinese Foreign Ministry spokesman Geng Shuang said at a briefing in Beijing on Monday. Ardern’s government was buffeted by a string of incidents earlier this year that fueled concerns China was turning a cold shoulder toward New Zealand after it barred Huawei Technologies Co. from its next-generation wireless network. Opposition politicians called for the government to shore up the relationship with China to avoid potentially dire economic consequences for more than NZ$27 billion ($19 billion) in two-way trade. Among the issues were claims that some exports were facing delays being cleared through Chinese ports and a report in a Chinese newspaper that tourists were canceling plans to visit New Zealand. Delays in Ardern’s visit to China, originally planned for late last year, were also cited as an example of friction, as was the postponement of the launch of the China-New Zealand Year of Tourism in Wellington. That event has been rescheduled for later this week and will be hosted by China’s minister of culture and tourism.